Heat gas or electric grill to medium heat or oven to 400°F. 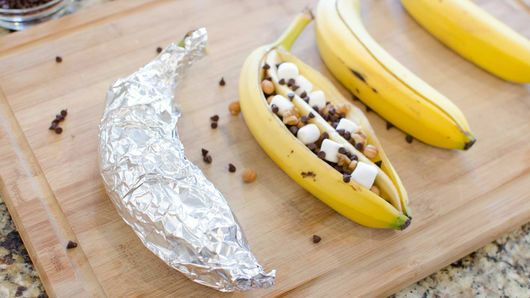 Cut 4 sheets of heavy-duty foil large enough to completely wrap each banana. On clean surface or cutting board, line up 4 large peel-on bananas on their sides. Cut bananas lengthwise down center through peel, being careful not to cut all the way through. 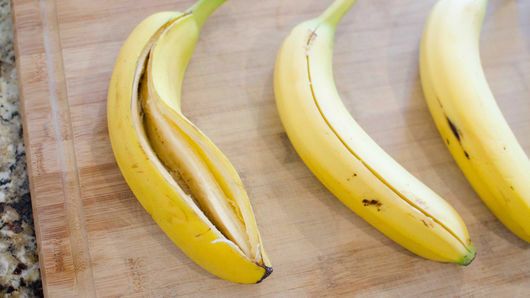 Carefully peel back and open banana to create a boat-like opening in center for filling. 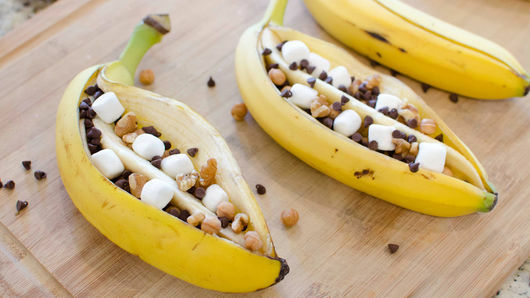 Stuff each banana with 2 tablespoons miniature marshmallows, 2 tablespoons miniature semisweet chocolate chips, 2 tablespoons chopped nuts and 2 tablespoons caramel bits, using more or less to taste. 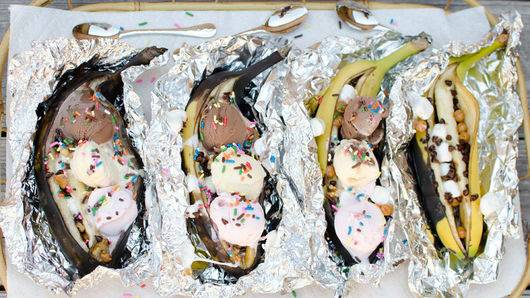 Place each stuffed banana on sheet of foil. Fold sides of foil up and loosely close with seam at top. 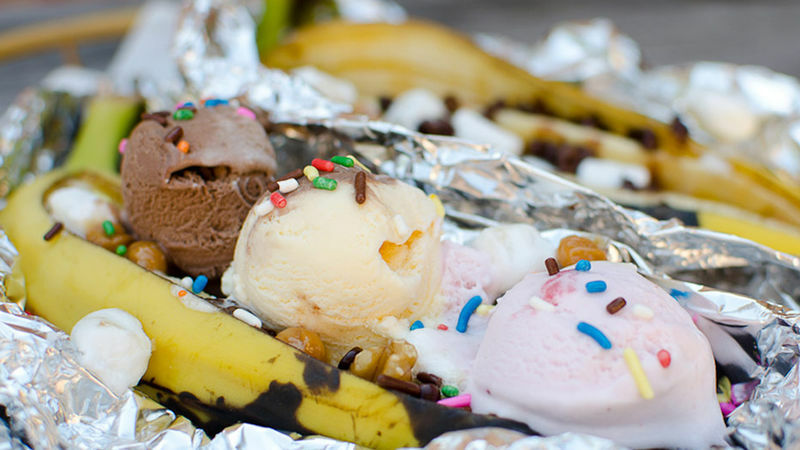 Consider a “Make Your Own Banana Boat” party and let your guests have fun building their own banana split foil packs! Try other toppings beyond what is listed here that may be your favorites!